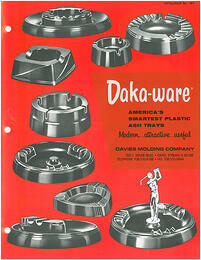 We recently received an email from a history buff inquiring about the brand name Daka-ware and how it's related to Bake-lite, another name brand in the plastic molding industry. In his email, the history buff explained that "Daka-ware is a common search on search engines but there's no real official answer". So we created this blog post to help fill in some of the gaps of this topic and provide a (hopefully) helpful "official" answer. 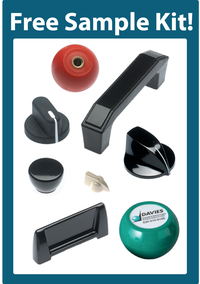 In my discussions with Derran Smith, president of Davies Molding, he explained it this way: Dakaware was a trade name used by Davies Molding in the 1960s for a line of compression molded phenolic knobs, handles, and ashtrays. 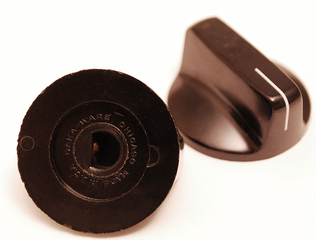 We still have tools that have the Daka-ware name on them, and we have a few hundred of the Dakware ashtrays in stock (available for purchase!). See the vintage catalog on the left and on the right, a picture of a "vintage" looking daka-ware control knob. Bakelite, on the other hand, is a brand name of a specifically formulated phenolic material created by a Belgium chemist and has been recognized as the first synthetic plastic by the American Chemical Society (according to the Bakelite wikipedia page) But similar to the Kleenex brand, the Bakelite name became genericized, and was used throughout the plastic molding industry to describe all phenolic material regardless of the brand, much like how we use kleenex to describe all facial tissues. 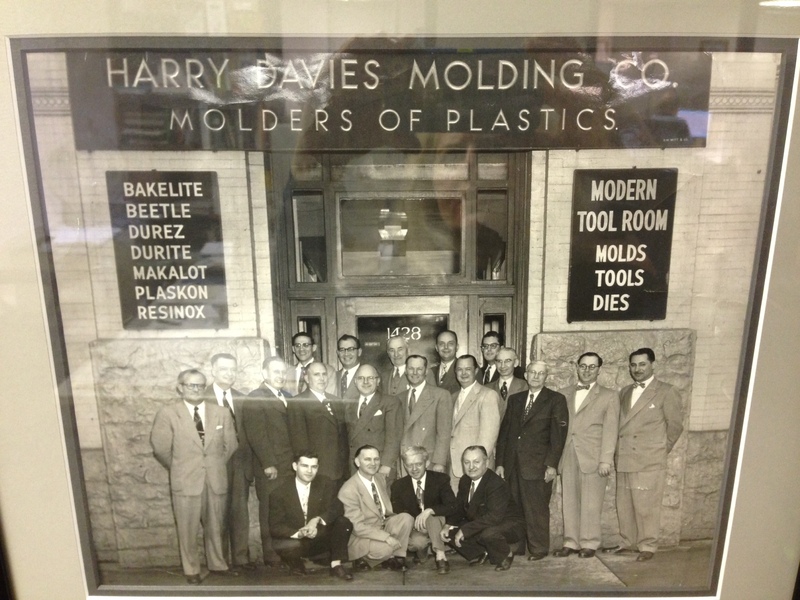 Check out the picture of The Harry Davies Company (now Davies Molding) with Bakelite, along with other brands of plastic molding material, advertised outside its doors.